Hi lovelies! Check out this new product that helped me tackle my hyper-pigmentation, acne scars, black heads, white heads, brown heads, and all other insecurities in just 2 days! Say hello to unattainable-beauty-standards-fulfilling skin! #ad. If you’re tired of reading between the lines, and being left with this sentiment, you’re not alone. SKIN DEEP is a series of photos following the journey of a young woman who is on “The Quest” for perfect skin. What started out as an invented interest in response to imperfect skin, evolved into frustration. She was once the paradigm for who the skincare industry preyed upon: an impressionable young woman with a list of fixable insecurities. After years of being acquiescent, she slowly teaches herself to be free from the hold societal beauty standards have had on her since birth. She stops responding to calls to perfect her physical self and turns her energy inward. She creates a new frame of reference for her sense of self. She transcends her skin deep existence, and instead strikes a balance between physical and mental wellbeing. This is a deeply personal photo series, seeking to express where I once was, how far I’ve come, and where I hope to be. The skin is our largest, most scrutinized organ. Skin is, quite literally, the physical manifestation of ourselves, our being, and how we choose to move through the world. It’s subject to all types of manipulation, in the name of self-expression, beauty, wellness, culture, and religion. It can be shown, covered up, pierced, and tattooed. It’s pigmentation has been given societal significance and that significance has positive and negative implications, depending on the shade. It’s a fresh canvas for make-up by morning, and a dirty dish that needs to be cleaned with cleanser, toner, and whatever else the omnipresent skincare industry tells us we need, by night. Given the newly formed intersection of social media, skincare, and influencer based marketing, being comfortable in our skin seems like a revolutionary feat. We live in a world where the visible self is of utmost important, where every problem has a solution and everything can be made better. What are the consequences of applying these demanding ideals to individual skins, as a society? It translates to a subtle nod at corporations to go ahead and make money off of insecurities, and perhaps even create ones that didn’t exist. Better yet, go ahead and commission celebrities and influencers to do the dirty work of telling us which products we need and why. In some parts of the world, the problem is dark skin, a symptom of Eurocentric beauty standards, and the solution is skin bleaching creams, whitening facials, and complexion changing foundation. In the West, some resort to tanning beds to achieve that classic brown/orange shade, tuning out any warnings of skin cancer. Meanwhile, the battles against pimples and wrinkles are universal. This is how seriously we take our appearance, and this is precisely why skincare is a multibillion dollar industry turned social movement. It doesn’t help that we’re subtly reminded through social media posts, by people we chose to follow, that “The Quest” towards perfect skin is something worth undertaking. They bring us the hottest new products, such as charcoal face washes, and Japanese rose gold face masks, while encouraging us to be trendy with them. In actuality, our favorite celebrities are dropping their #sponsored skin care routines, while equating self-care to an often overpriced product. After all, skincare is different than makeup; it’s not about beauty, it’s about health and self-care. 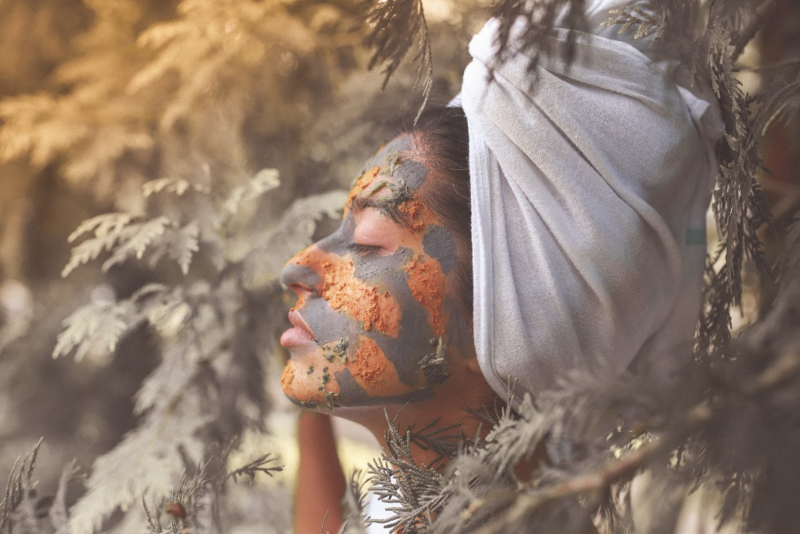 In many ways, this newfound obsession with skin care is simply part of a larger problem: the commodification of self-care. Look good, feel good, we recite as we hand over whatever amount of money deemed necessary to feel better about our physical selves. Surprisingly, the Face-tune app is free, creating glowy, white-washed skin at the touch of a button. All the while, remedies such as following a healthier diet, which demand more effort than a topical product, are left out of the mainstream skincare movement. It’s no secret that the skincare industry targets women, but I have gotten to know this trend firsthand. My brother and I both have acne. Yet, he owns 5 products tops, and I’ve somehow tried every face mask, cleanser, and oil that pops up on my feed. He asks to borrow my ‘rosemary stuff.’ He means my $10 bottle of Thayers Rosewater Witch Hazel, which I bought after more than one person referred to it as liquid gold. The influencers he sees on Instagram (mostly fashion and lifestyle pages run by young men) don’t shove the latest skincare product in his face. My young-woman acne takes precedence over his young-man acne, in the eyes of the billion dollar skincare industry. On the other hand, it would be more acceptable for me to cover mine up with makeup than it would be for him, which is a norm that transcends the skincare industry and enters into the makeup industry. Another skin woe my brother and I both have in common: navigating colorism, known as prejudice against individuals with a dark skin tone, typically among people of the same ethnic or racial group. In South Asia and the diaspora, we’re placed below the threshold for the right shade of brown skin, and thus we are advised to stay out of the sun. We’re reprimanded for going swimming while the sun is still out because the mix of summer sun and chlorine means irreversible tanning. We’re told that if we gain weight, our skin will stretch out and be less brown, less melanated. Only one of us receives unsolicited advice to look into whitening facials. In some cultures, skincare goes beyond buying specific products and also calls for ludicrous lifestyle changes. There are many reasons as to why non-Western cultures buy into Eurocentric beauty standards, the primary one being years of colonialism. However, it’s up to the people of these cultures to raise collective consciousness and dismantle the idea, no matter how subtly perpetuated, that our skin should look like that of our former colonizer. Growing up in the United States, as a South Indian, I have had the opportunity to juxtapose my two cultures, and how these cultures affect attitudes towards skin. I learned early on that a key tenant of Western culture is our unapologetic hyper-consumerism. We could learn a thing or two from the ‘if it ain’t broke don’t fix it’ mentality of our grandparents. A trip to the local pharmacy to buy face wash means being bombarded with choices, so it’s necessary to be hip to the the latest skincare hack. Putting charcoal in face wash sounds absurd, but it’s all over Instagram. Maybe it’s the elixir we’ve all been waiting for, and thus it ends up next to the other half-used face washes purchased while ignoring the advice of our grandparents’ generation. The skincare industry teaches us to keep trying different products, until one works because skincare is something worth spending money on. There’s always something that can be fixed about our skin, even if we didn’t know it was a problem before seeing the advertisement. Skincare may be an unsinkable industry that may have brought about positives not listed here, but what’s are we neglecting? Our internal selves. We spend time perfecting our external selves, which were never meant to be perfect anyway. Our minds are preoccupied by the state of our skin, our physical selves, and how others perceive us. We compare our bare faces to a full-coverage foundation-wearing, airbrushed photo of an ‘influencer.’ This type of skin has become the norm, and suddenly bare skin has become an act of great courage. In the same vein, bare skin has become a #disclaimer when #nomakeup selfies are shared, making it clear that nowadays, bare skin is not the default. Finally, the hormones die down, or a product finally works and we finally look the way we want to look. Now what? We’re left with a shell of a human that has been taught to be nothing more than skin deep. Almost everyone, particularly women, are on “The Quest”, maybe because it’s easier, more tangible to fix the outside than to grapple with the inside. There are products out there for glowy, iridescent skin, albeit accompanied by a hefty investment of time and money. There are no topical solutions to being a morally reflective person, developing skills and passions, caring about the state of the world, contemplating life goals, attaining inner peace, or being a complete person. There’s an important balance between the internal and external that should be decided by the individual, not corporations, Instagram influencers, or societal beauty standards. Whilst contemplating that balance, we must remember that we only see what we get shown, and what we get shown is either painstakingly perfected skin, or a rare breed of skin that meets the criteria for whatever the current beauty standard is. After all, history has taught us that only a small segment of the population will be remembered by their external appearance – the rest earn commemoration for changing the world through their words or actions. Let’s teach ourselves to be comfortable in our own skin, and shift our mental energy to the internal self. Let’s collectively realize that not all aspirations should be skin deep, that there is more to us than what meets the eye. Let’s take care of ourselves, inside first, then outside.